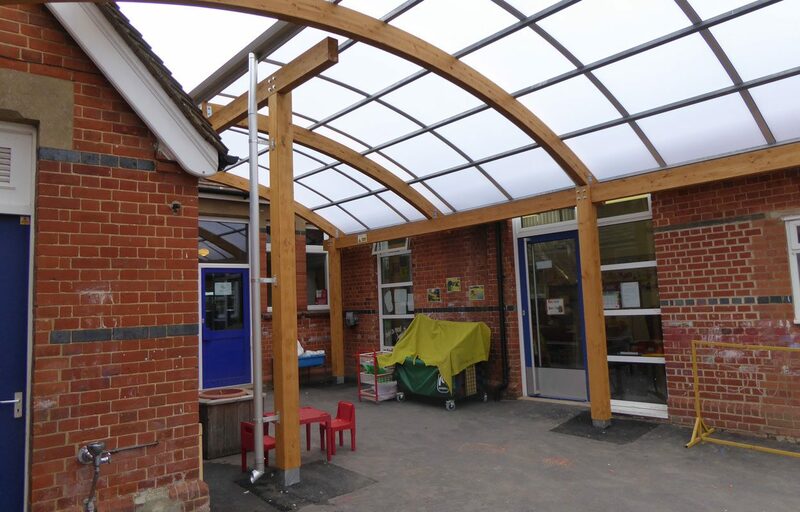 Timber playground canopy constructed for infant school. 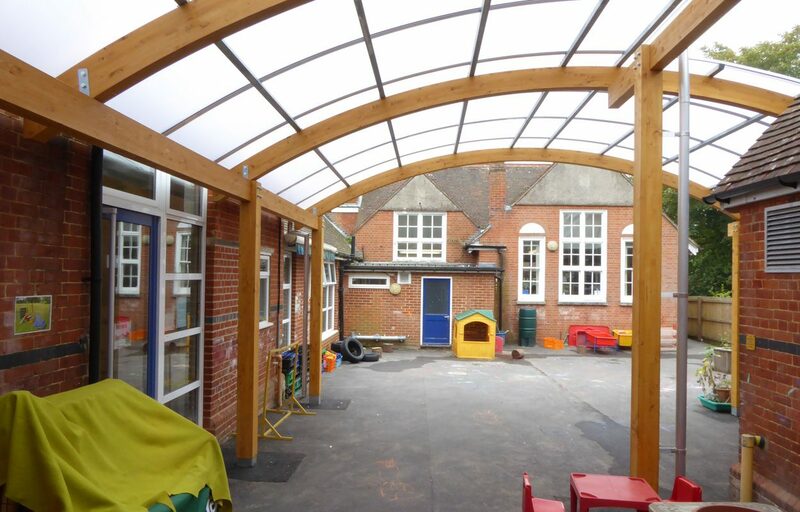 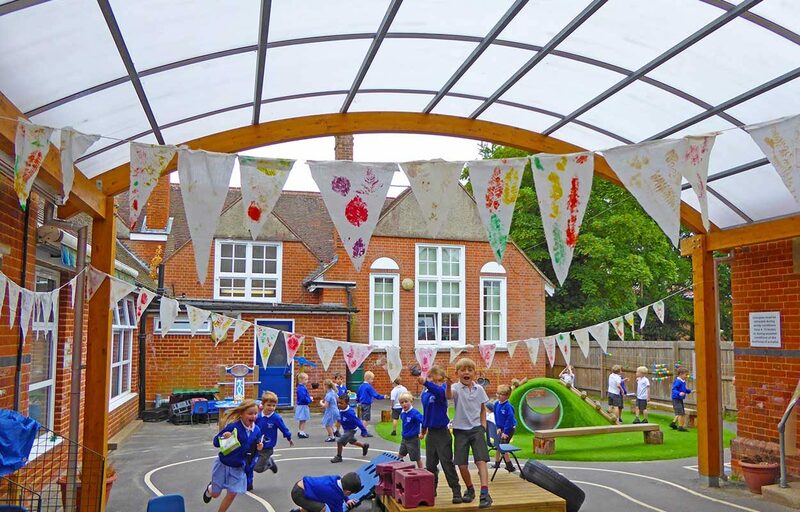 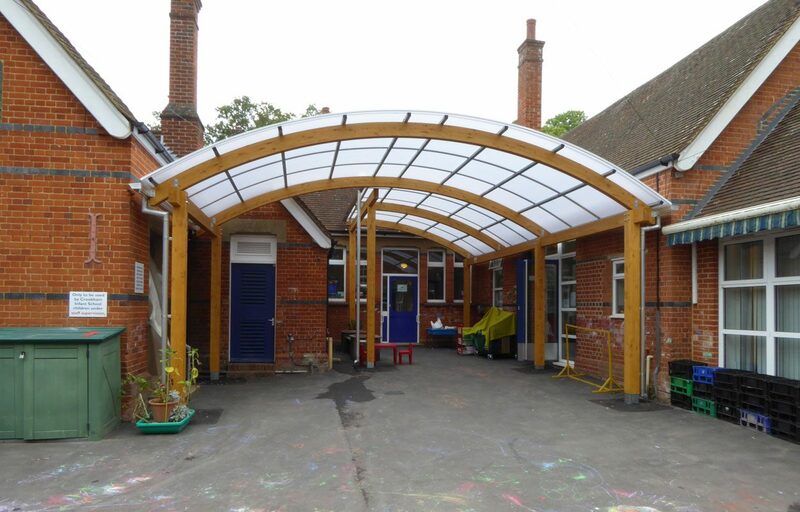 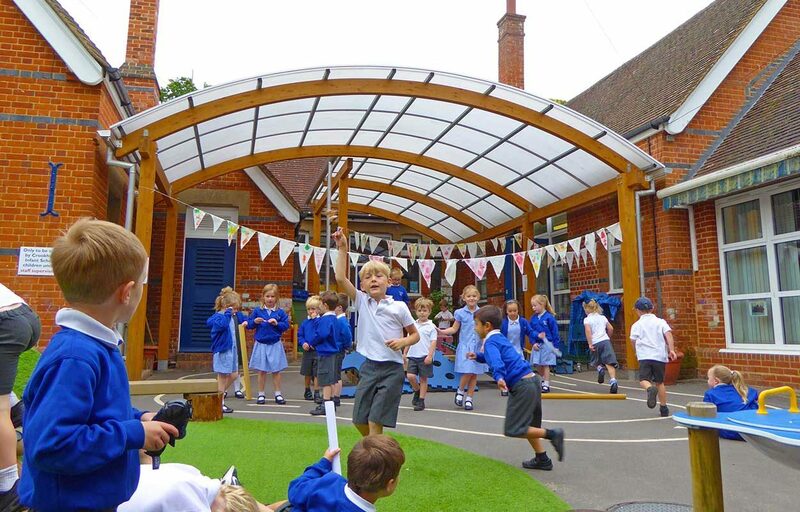 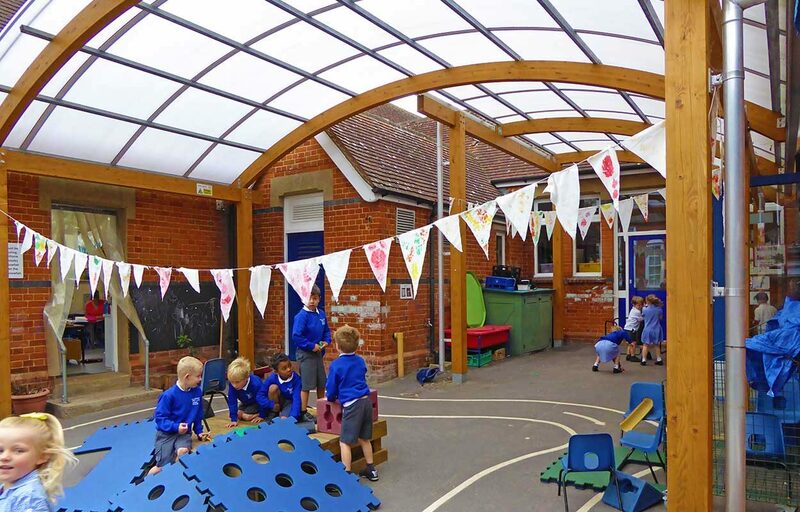 This timber canopy for Crookham Infant School acts as a playground canopy and an entrance canopy to the four separate doorways underneath. 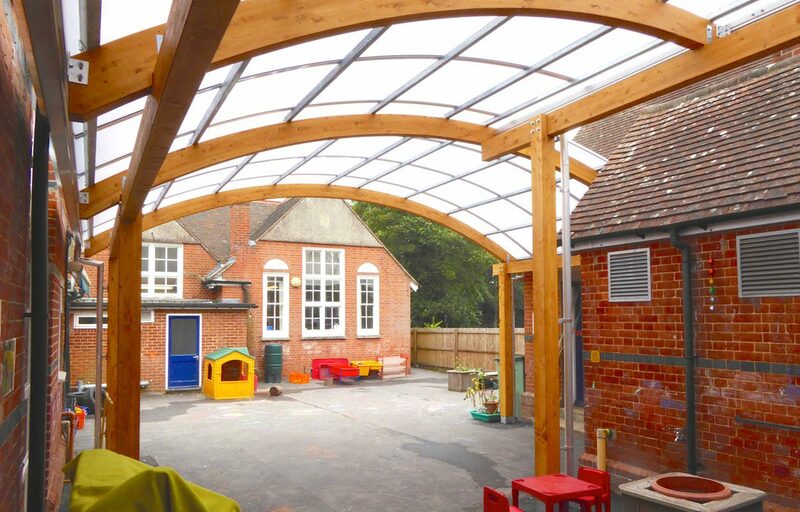 The free standing FSC and PEFC accredited timber frame nestles perfectly within 3 adjacent walls and complements the surrounding context perfectly. 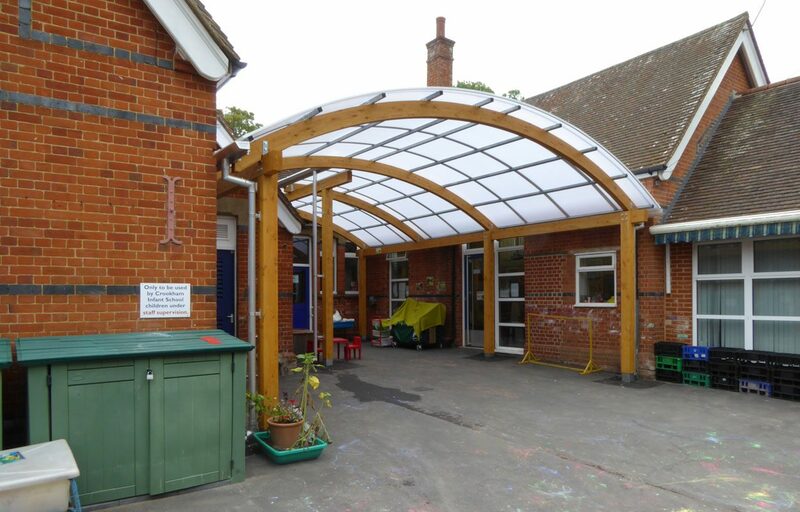 At 8.5m long the bespoke design extends to a maximum width of 6m and utilises a 16mm triple walled polycarbonate roofing solution that is renowned for its ability to withstand extreme weather conditions. 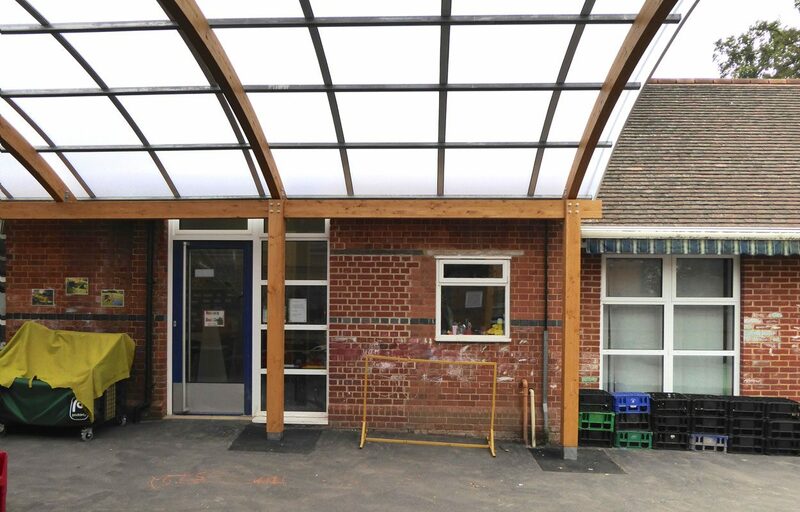 The structure is completed with mill finish aluminium gutters and rainwater pipes. 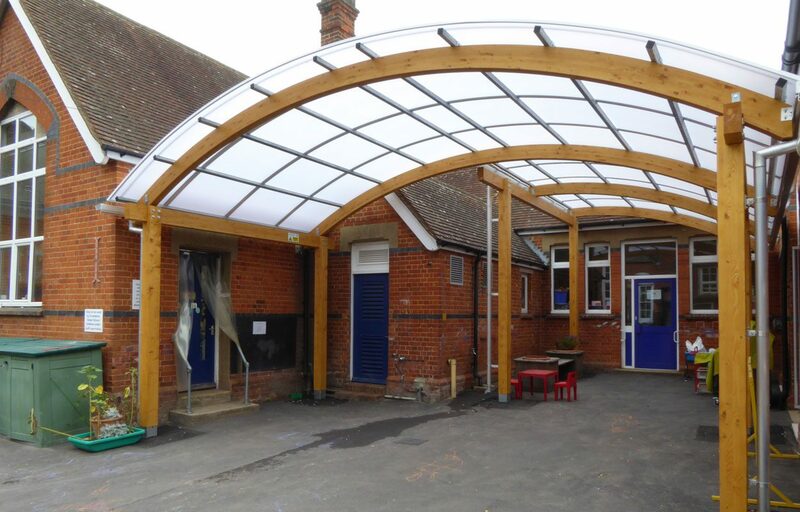 Fordingbridge also provide post protectors to ensure the safety of children at your school.